Running Press Book Publishers, 9780762444731, 192pp. Based off the popular website of the same name, Rock Your Ugly Christmas Sweater celebrates ugly Christmas sweaters year-round and showcases hilarious photos of people and pets wearing some of the ugliest holiday sweaters ever. 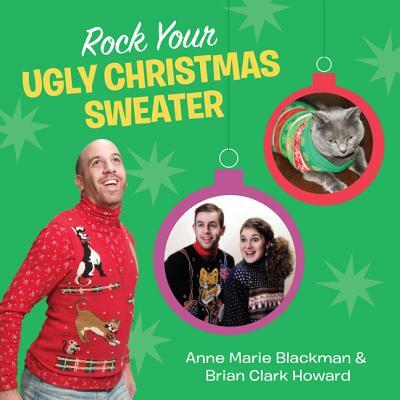 Anne Marie Blackman runs Myuglychristmassweater.com, has built a thriving business around making and selling holiday sweaters, and has an ever-growing photo collection from fans and customers around the world. She is one of the most successful entrepreneurs in this market, with Web stores that saw millions of page views over the past year.Brian Clark Howard is the Web editor for National Geographic. He has written numerous articles about ugly Christmas sweaters and has cowritten four books about green living.